CHINI LIVE..Keeping up with the latest Buzz! : Michelle Obama is nominated for a Grammy? Michelle Obama is nominated for a Grammy? Its True! 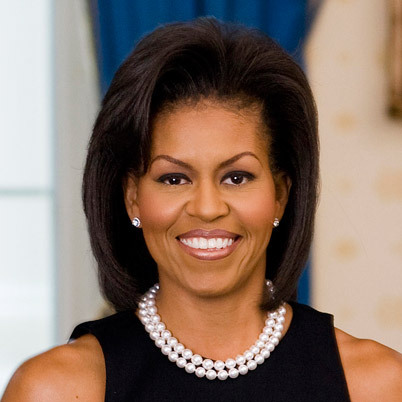 The First Lady of the US, Michelle Obama has been nominated for a Grammy Award for Best Spoken Word Album. The nomination is for "American Grown", her story about growing vegetables in the White House garden and getting healthy food to the table. Just like the 2008 preliminaries, there seems to be a Clinton vs. Obama race, as Bill Clinton is up for the same award for "Back to Work", offering ideas on how to grow the economy and strengthen the federal government. Both spouses have won this award in the past, as a U.S. senator, Barack Obama took home the prize in 2006 for his recording of his memoir, Dreams from My Father, while Hillary Rodham Clinton won the Best Spoken Word Album prize in 1997 for her recording of her book, It Takes a Village.